Ambainis, A, & de Wolf, R. M. (2013). 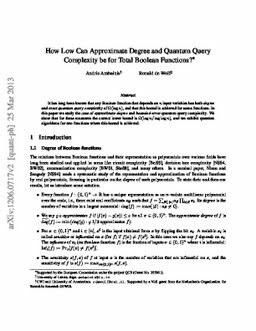 How Low Can Approximate Degree and Quantum Query Complexity be for Total Boolean Functions?. In Proceedings of IEEE Conference on Computational Complexity 2013 (CCC 28).